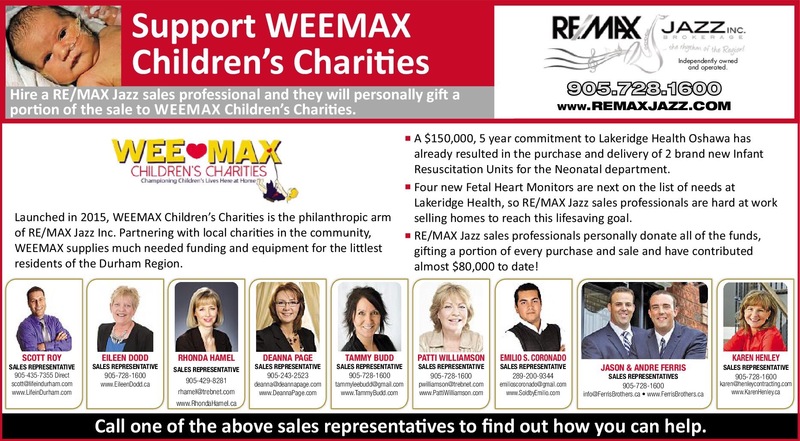 Helping Children Across Durham Region With WEE/MAX! Being involved in Real Estate is more than simply “Selling Houses”. I have the pleaure of going to work everyday and meeting and working with fantastic people. If that wasn’t enough I get to be involved in some pretty special events and help families through various charities and community sponsorships. Without question our Exclusive WEE/MAX charity has had the greatest impact. WEE/MAX is exclusive to RE/MAX JAZZ Inc Brokerage and was created by one our Broker owners , Noel Coppins. WEE/MAX was an instant successes and has done nothing but gain moment and achieve milestones at a blistering pace. Just recently we have updated what we have been able to accomplish and this ad will be appearing in the local papers shortly.